Modern building technology promotes not only the comfort of people in a building, but also creates a more flexible, engaging, and creative work environment that will have a huge impact on the productivity and well-being of people. The smart office of the future knows what each individual wants and adjusts automatically to his or her changing needs over the course of the day. This morning, Anne Rodgers is late for work. Too late. The I-94 highway to Chicago was at a complete standstill, costing her almost a full hour. The strategy workshop for managers which she is to lead will start in a few minutes. The final versions of all the presentations are on a USB drive in her purse – and unfortunately only there. Still, Ms. Rodgers is perfectly calm. With good reason: The Siemens Digital Assistant, the company’s smart management system that links all 65,000 employees by computer or smartphone, automatically detected the delay and proposed a schedule change. Only seconds after she confirmed the new time, the Assistant (fondly christened “Sid” in an internal contest) postpones the start of the workshop for an hour, notifies all the participants, and simultaneously extends the conference room reservation. As a result, no one is annoyed. Instead of waiting impatiently in the meeting room and wasting time, the employees can stay at their desks and continue to work. This means that Sid also pays off for the company – in this case by saving a dozen productive working hours that would otherwise have been wasted. Meeting automation and space booking are among the core tasks that modern Internet-based building management systems handle virtually on their own. Using sophisticated algorithms, they calculate in real time which room is the ideal size for the group and closest to all the participants. If somebody doesn’t know how to get to the room, they can get directions on their smartphone. Visitors, too, can take advantage of this capability thanks to special location-based services that link the existing building infrastructures and processes with location-dependent data. Indoor positioning sensors such as Bluetooth beacons or high-precision object tracking using ultra-wideband wireless technology can significantly improve operational processes in the building. Rooms are better utilized, maintenance is more efficient, and emergency evacuation becomes easier. Products can be protected more effectively against loss or theft, are easier to inventory and can be located at any time (particularly useful for mobile office equipment). Such systems not only handle invitation management from start to finish, including accepted and declined invitations, but they also register attendees, transcribe spoken presentations and send out meeting documents – all of it automatically. This is the scenario that awaits us in 2020, just a few years from now. Siemens experts are working feverishly on such perfect workplace experiences. Their attention, as always, is focused on the needs of the individual. The goal is to connect people, places, systems and services. Step by step, these visions are becoming reality; some already are. New functions are being added nearly every day. The potential to boost productivity exists virtually everywhere: from the use of resources for lighting, water, waste water, heating and cooling, to safety, security, health and well-being in the workplace. Building technology promotes sustainability, cost control and employee loyalty, and therefore has a positive effect on brand image. In just a few years, the perfect workplace will look a lot like Anne Rodgers. Our fictitious protagonist is the event manager at a major DAX company headquartered in the Ruhr region. Her firm has been using modern management information technologies for years. It starts with employee mobility, especially with smart links to the routes to and from the office. In the company parking lot, Sid directs Ms. Rodgers to the nearest available spot equipped with an electric vehicle charging station so she doesn’t need to drive around looking for one. Most of the time, however, she uses public transportation. Here, too, smart management systems help out by providing a broad range of accurate and up-to-date information: timetables, maps of electric filling stations, park-and-ride opportunities and e-bike availability, to name just a few examples. The benefits continue at the entrance to the building. 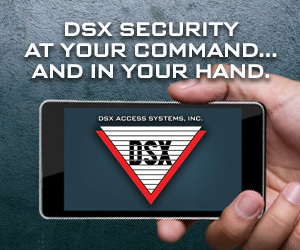 Whether it’s the company headquarters, a warehouse with high-value products or a secret research laboratory with highly sensitive product innovations, access control is secure and smooth. The system recognizes that an employee, applicant or visitor wants to enter the building, greets the individual and directs him or her appropriately. Healthy eating and nutrition are essential for well-being, performance and motivation. Even here, smart management systems can be a significant help. Employees, for example, could order and pay for their preferred meals a day in advance and then have the food delivered to their exact location. According to the “Future of Small Business 2020” report by Intuit and “The Future of Work” study by consulting firm PwC, positive on-the-job conditions such as these, plus a healthy work-life balance, are more important to 75 percent of all employees than salary. Targeted measures to improve the work environment can reduce illnesses and absences by up to 20 percent, according to the 2017 Meta Study by Continental Automated Buildings Association (CABA). Other studies even suggest up to 35 and 60 percent. On closer analysis, most of the true costs of a building aren’t caused by energy, building management or tied-up capital. The lion’s share – ten to one hundred times more – are made up of expenses related to people: employee salaries and added value, to be sure, but also costs for recruiting, retirement, health, well-being and workplace safety and security. To be specific, experts estimate the ratio of these three components to be 30, 300 and 3,000 euros per year and square meter. In the year 2020, approximately one billion people will no longer work at a fixed desk. Instead, they will share flexible “project-based capacities” with others. And the trend is pointing upward: By 2030, nearly one in three workplaces will be shared by two or more people. That means occupant comfort will become more and more important. Experts in workplace ergonomics understand the need for a holistic approach that takes into account both physiological and psychological parameters since the body and the mind interact with each other. As soon as Ms. Rodgers arrives at her desk, the light automatically comes on. It is already set to her preferred level – not just in terms of brightness and color, but also based on the amount of sunlight. In addition, the system knows her preferred room temperature. It even knows that 21°C does not feel the same in summer and winter, so it makes the necessary adjustments. The system learns on its own, based on the values provided by the sensors and on user feedback and behavior. The “World Green Building Council Report” indicates that providing employees with what they consider the best lighting and temperature can raise productivity by up to 18 percent. 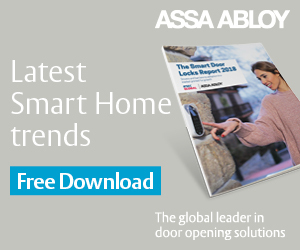 The solution is the latest generation of smart building technology based on all-pervasive digitalization, mobile communications and the Internet of Things (IoT). This technology is what makes the integration of previously isolated systems possible. The interoperability of different services from different providers knows virtually no bounds. Employees can organize and optimize their personal lives, with everything synchronized with their working hours: from shopping and restaurant reservations to appointments with the mechanic, hair dresser or doctor. Automatic delivery of packages to the workplace makes life easier as well. In fact, all the components of this type of smart management system contribute to a feeling of achievement and belonging: to a company, a community, a network. This increases lasting employee motivation, both directly and indirectly. Last but not least, the corporate image this fosters is a major benefit when recruiting new talent. The best workers choose the companies they find most attractive, with broad opportunities for communication, shared growth and development, and lifelong learning. The increase in productivity resulting from all these effects is a catalyst for the rate of return on commercial properties. Properly deployed, building management systems substantially boost property value in a very short period of time. Because the investment requirements are relatively low, the return on investment and the payback periods are short and the leverage effect is substantial. This applies not only to new construction but to existing structures and, with minimal restrictions, even to old buildings. Globally, the market volume for building technology is approximately 65 billion euros – with growth rates in the double digits. 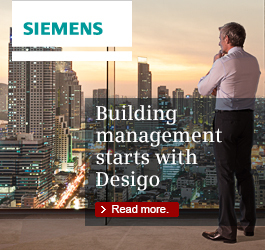 In building management, as in other areas of technology, there is no end in sight for progress. New developments in miniaturization, sensor technology, robotics, voice control and drone use open up unimaginable scenarios that further humanize the working world and create opportunities for interaction between people and buildings. Technological progress and the individual adaptation of buildings to the processes and the people working in them will accelerate considerably in the years to come. Of course this applies primarily to new buildings. However, thanks to the Internet of Things and wireless technology, this will increasingly apply to existing buildings as well. Franziska Dolak, Innovation Manager for Siemens Smart Spaces, adds: “Even for historic buildings, entirely new usage scenarios will become possible."